After a series of exposé articles highlighting the corruption associated with the big-name moving companies in the Atlanta area, I opted to book with a company that boasted higher moral standing. 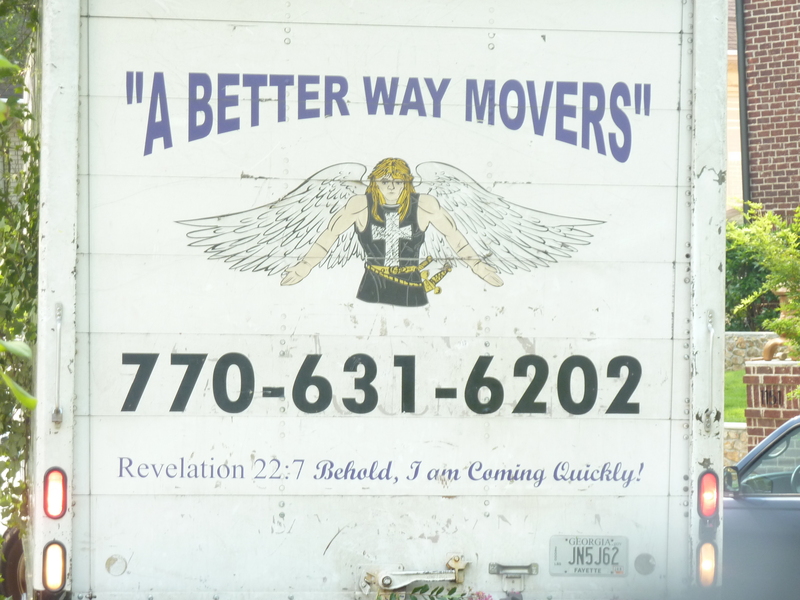 Accredited by both the Better Business Bureau and evangelical Christians in Peachtree City, A Better Way Moving Company had the distinct honor of helping us make the move. After sitting through “inspirational” hold music and running through payment and logistics over the phone, the polite representative said, “We look forward to helping you on July 9. We will be praying for your move.” The sentiment caught me off guard, but I will never turn down a free prayer. The moving truck showed up bright and early on Saturday morning. Needless to say, we made quite an impression on the new and old neighborhood. 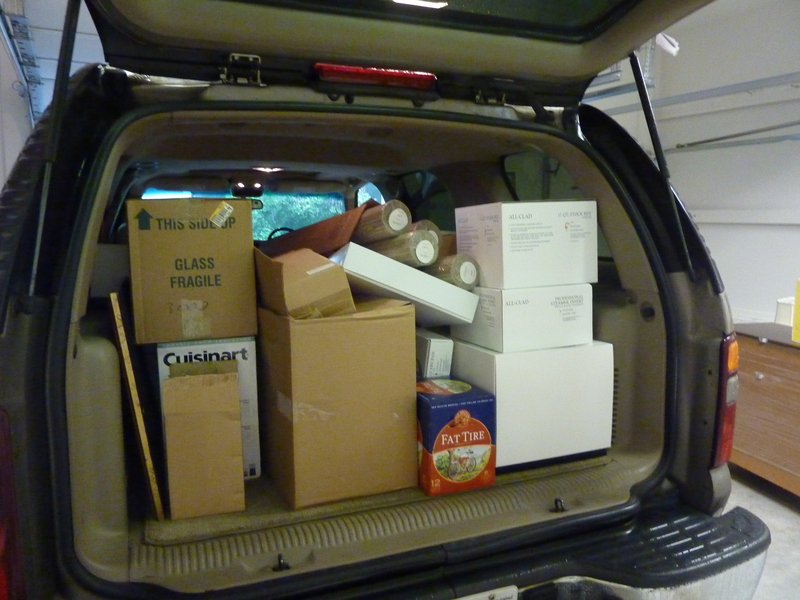 After we said our goodbyes to the Better Way boys, we assessed the mountain of boxes before us. 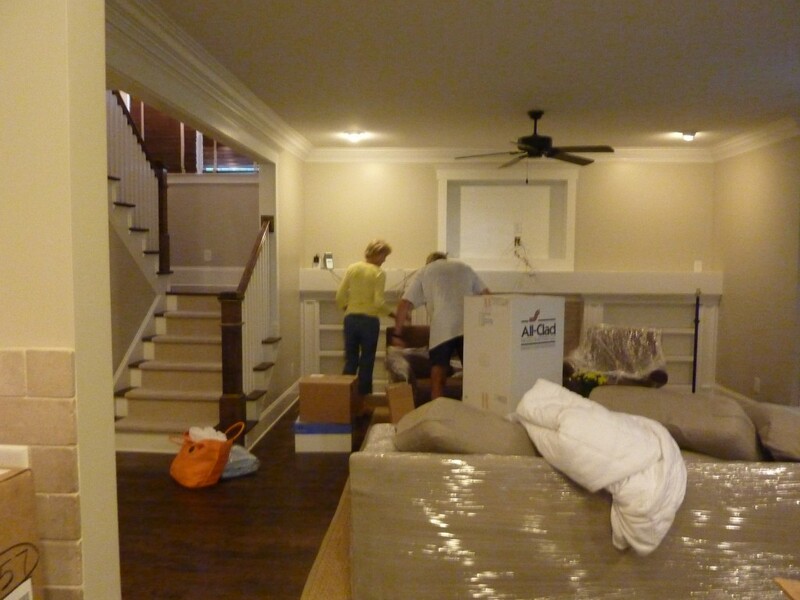 How we managed to fit so much into our four room rental house remains a mystery. 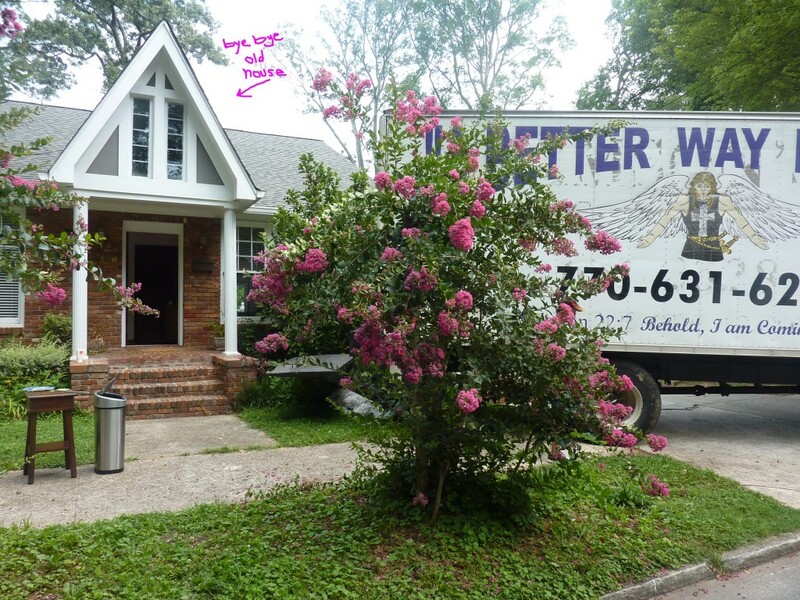 Remember how the nice man from the moving company told me that he would be praying for our move? Well, his prayers worked! 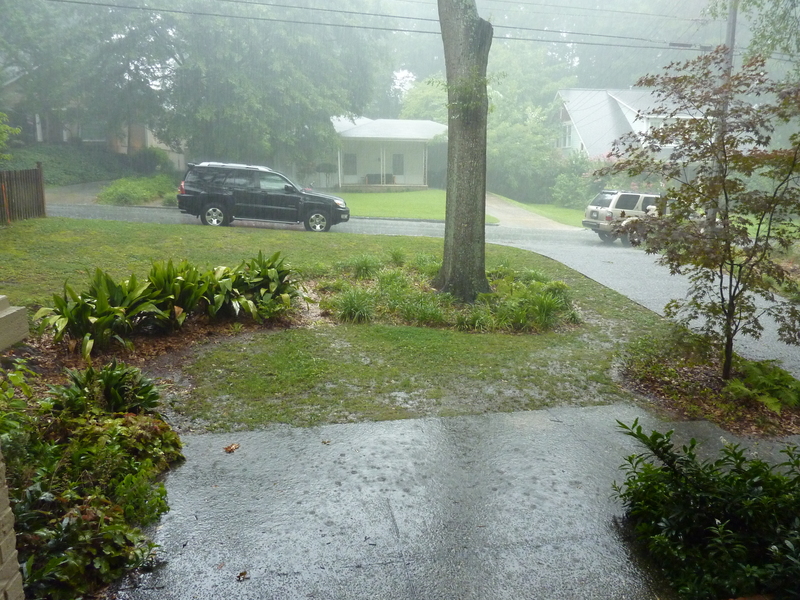 It started pouring down rain right when they drove away. It was like Christmas morning when my parents pulled up with a car full of wedding presents. They had so kindly stored all of our registry treasures at their house, awaiting the day when we would have a kitchen fit for a Cuisinart and cabinet space for our china. My parents were work horses and made themselves supremely useful for the better part of Saturday and Sunday. My dad helped with the unpacking and heavy lifting and my mom b-lined to my new closet and made sure that my hangers were coordinated. It is no surprise that the same woman who keeps her Tupperware and “junk” drawers immaculately arranged also has a knack for quickly and chromologically organizing a closet. They certainly earned their pay, in the form of an all-expenses-paid 10pm dinner at Jalisco’s. Strip-mall Mexican has never tasted so good. But before we went to bed that first night, My Man and I had to take care of an important detail. 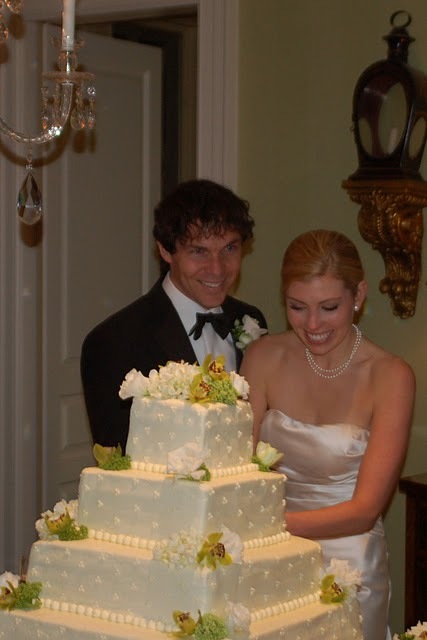 Traditionally, couples share the top of their wedding cake on their first anniversary. Because we enjoyed a delicious four hour brunch on April 18, 2010, we decided that we would save the cake for the first night in our new house. We had just started the house hunt and thought that surely it would only be a month or two until we were happy homeowners. 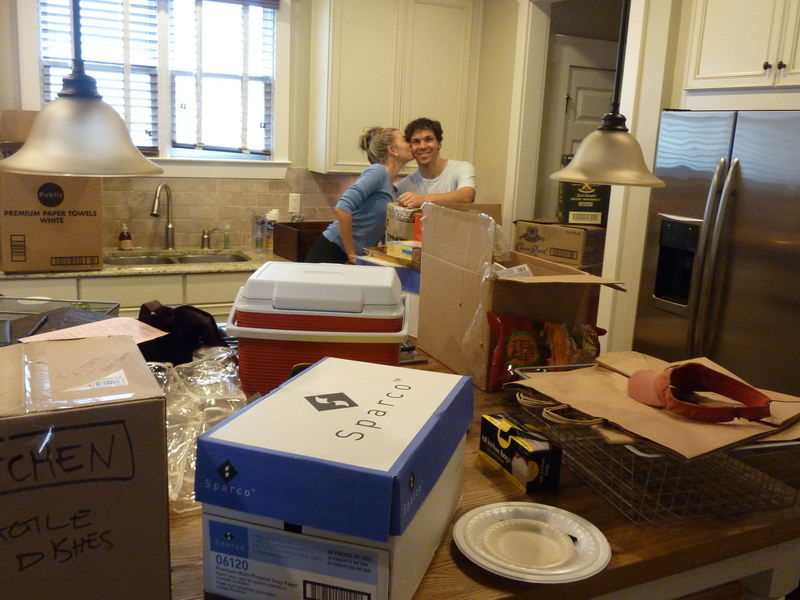 Our second anniversary came and went with plenty of romance but nary a new home. 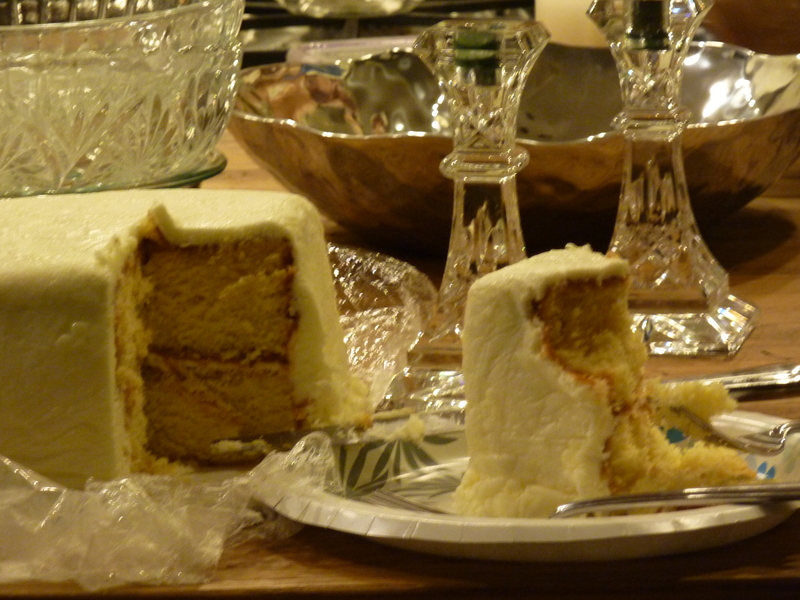 At long last, on Saturday night we carefully unwrapped the cake. Shockingly, the cream cheese frosting stood the test of time, a move and multiple power outages. It was delicious! Yes, a mad case of the spins and violent heaving from a self-induced (and self-diagnosed) exhaustion migraine. Or maybe it was the 2 ½ year-old wedding cake…? We have been in the new house a little over a week now, and I can finally, finally say that I have recovered from the move. Moving straight took it out of me. All of it. I am delighted and relieved that we opted for a house that we can grow into because I have no plans to pack up and move anytime in the near or distant future. Hi Jennifer! I found your blog through my good friend Kailey from Snackface and love it! Congratulations on the new move – what an exciting time for you! 🙂 Just wanted to let you know how much I love reading your blog already. The whole “take the day off” idea and mindset is sometimes (okay, all the time!) what I need.